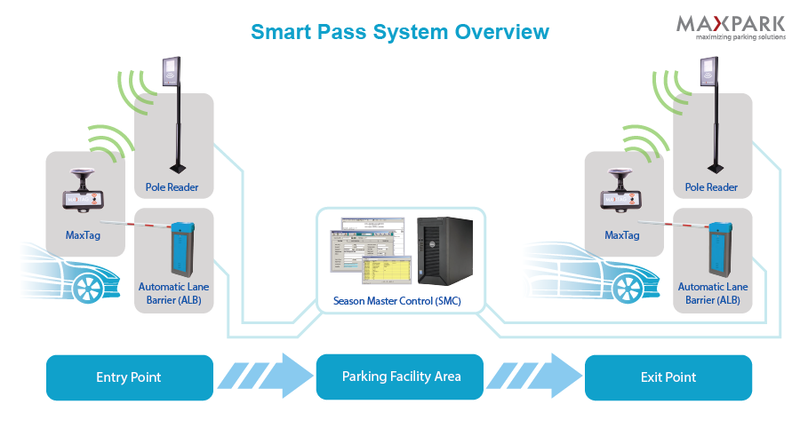 The MaxPark Smart Pass System functions as an vehicle entry/exit control system for office tenants, gated housing area residents and condominium residents. A Standing Pole Reader unit is located at each entry and exit. Users are issued a Tag device to be mounted on the car windscreen or as a standalone unit. When approaching the entry area and exit area, the reader will detect the Tag device on the vehicle and automatically open the lane barrier.